DJ AM–mentored DJ ZEE does not disappoint. Currently holding down residencies at Revolution Lounge, Bare, 1Oak, and Gold Lounge in Vegas, among others in New Jersey and Philly, ZEE has proved to be a formidable figure on the scene. 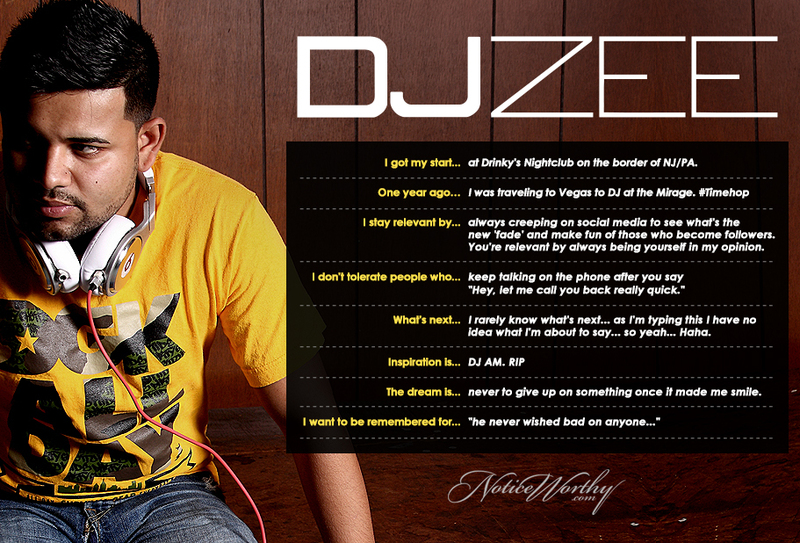 ZEE also entertains a nationwide fan base following his mixes and edits via Soundcloud.